22 Jump Street is the sequel to the surprisingly successful 21 Jump Street. It stars Jonah Hill and Channing Tatum. What's the update on 23 Jump Street? Phil Lord and Chris Miller update us on where they see Jenko and Schmidt going. 22 Jump Street lands on DVD and Blu-Ray and is an even better release than 21 Jump Street! 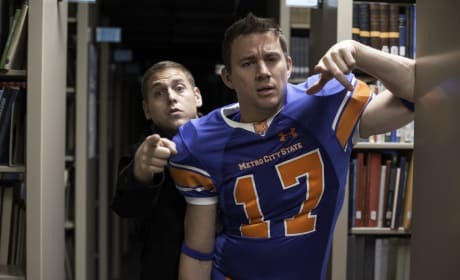 Jonah Hill and Channing Tatum do it again as they go undercover in college. 22 Jump Street: Coming Back to Big Screen! 22 Jump Street is coming back to theaters! Jonah Hill and Channing Tatum will be returning to the big screen. 23 Jump Street: Coming Soon! 23 Jump Street has hired a writer! Looks like we'll be getting a sequel to 22 Jump Street sooner than later. The details and release date of the 22 Jump Street DVD and Blu-Ray have been revealed. 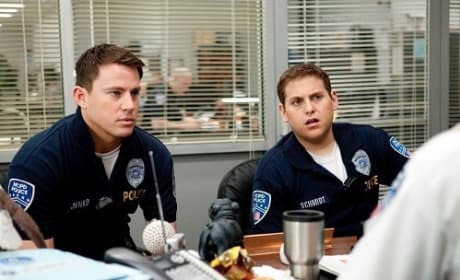 Channing Tatum and Jonah Hill are back in the sequel to 21 Jump Street. 22 Jump Street: Every Sequel Poster Revealed! 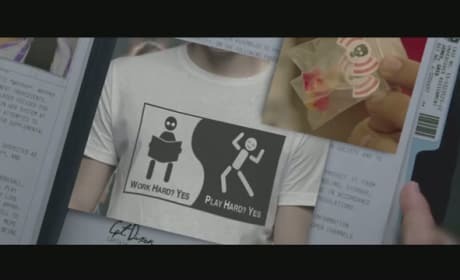 At the end of 22 Jump Street, the closing credits finish with a series of photos that list all the sequel ideas. From 24 Jump Street: Medical School to 2121 Jump Street, we got the images! Favorite 22 Jump Street Quotes: We Back! The boys are back in 22 Jump Street. The film topped the box office and to celebrate, we've got the best 22 Jump Street quotes. 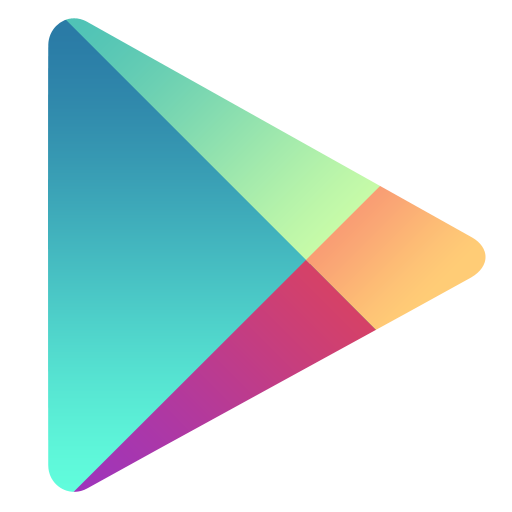 22 Jump Street Review: Just Do The Same Thing! 22 Jump Street not only brings back our favorite comic cop partners in Channing Tatum and Jonah Hill, but it ups the ante on many levels. Our 22 Jump Street review salutes filmmakers Chris Miller and Phil Lord. 22 Jump Street star Amber Stevens talks exclusively about the difficulty she had with co-star Jonah Hill. See, Hill cracked her up so much, she could barely make it through a scene! 22 Jump Street Photos: The Boys Are Back! Channing Tatum and Jonah Hill are back in 22 Jump Street. Sony Pictures released some new stills from 22 Jump Street that show that Ice Cube is also back! 22 Jump Street Debuts Two Clips: College Life! 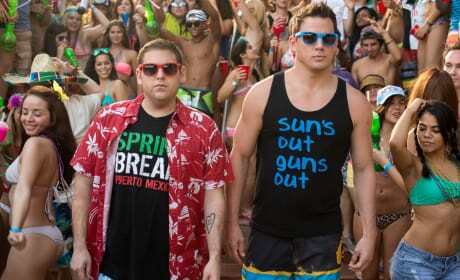 Jenko and Schmidt (Jonah Hill and Channing Tatum) are off to college in two new clips from 22 Jump Street. Ice Cube is back as their commander and he tells them to do "the same thing" as the first time around! Channing Tatum and Jonah Hill have graduated high school and are heading off to college as undercover cops in 22 Jump Street. The sequel to 21 Jump Street also brings back Ice Cube as their police captain.